OS X photo editor Picktorial launched this spring and made a positive first impression with me due to its clean user interface and approachability. The team has released its first major update to its app a mere four months after launching the first version, and has introduced numerous noteworthy improvements and features. When Apple replaced iPhoto with its newer Photos app, it also introduced extensions support to OS X's native photo editor. 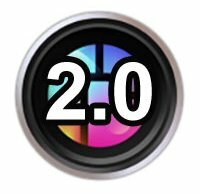 Picktorial 2.0 includes a Photos extension, allowing use of use all of the editing tools which are available in the standalone application, but from within Photos. Per the developers, Picktorial is the only Photos extension that can recall the positions of sliders and masks, allowing you to pick up where you left off even after closing Photos. Another big new feature is the addition of highlights, shadows and clarity sliders, which are very welcome additions. Radial and linear gradient masking tools are available now too. Additional upgrades include better RAW support, skin-smoothing brush improvements, bug fixes and stability enhancements. Image credit: Elisha Oren. You can utilize all of Picktorial's editing sliders in Photos and your adjustments are preserved after closing the application. One of the issues I had with Picktorial at launch is that the presets (essentially filters) were not particularly pleasing -- at least to me -- but the presets are now "professionally tuned" and offer a subtle, more pleasing look. Another issue I had was the occasional performance hiccup when using adjustment brushes, but this has been alleviated with the new version of the software. Anytime new software is released, there's often a lack of support and tutorials for how to get the most out of it. Picktorial 2.0 now includes in-app video tutorials and tips for how to use the various tools on offer. When you click on a certain retouching tool, such as "tone," a video slides down from the toolbar and shows you what the tool is for and helps you figure out how to utilize it. You can disable this feature if you want, but I think it's a great addition and I'm looking forward to seeing how it can be expanded to offer more in-depth information. You can now make radial and linear gradient masks in Picktorial 2.0. With version 2.0, Picktorial is available for special introductory pricing. The application is regularly $50 but is available for a limited time for only $25. Visit the Picktorial website to download a free trial, or check it out in the Mac App Store.